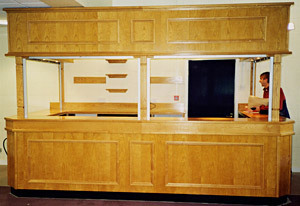 We spray finish all of the joinery offsite prior to installation. 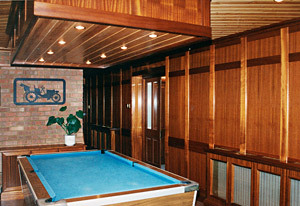 We are very pleased to tender for works based on accurate plans and specifications. 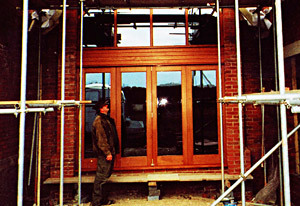 We have supplied small/medium size builders for many years with quality joinery, specialising in unique products for architect designed projects. 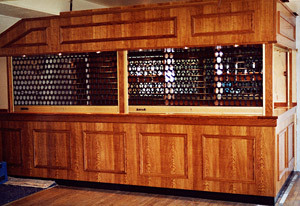 There are hardwood and softwood options for nearly all the work we carry out and we are pleased to advise on the most appropriate material or indeed combination of timber that could be used for any given project. 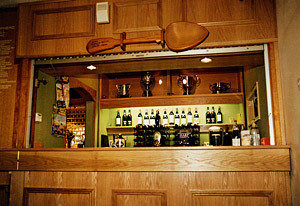 All of our joinery is made from quality timber, hardwood and softwood, with high performance ironmongery and draught seals used throughout. 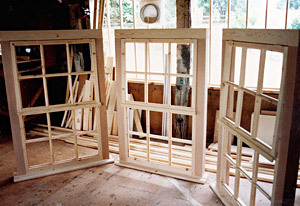 We supply joinery primed/basecoated, or finished, fitted and glazed as required.